In the words of a friend, "I knew Bill O'Reilly was a jackass. I didn't necessarily think he was an idiot." That opinion's about to change. In classic O'Reilly fashion, he brought on a guest that he disagreed with and attempted to shout over him for five minutes. The guest, Dave Silverman, earned O'Reilly's ire by posting billboards paid for by his organization, American Atheists, that said all religions were a scam. O'Reilly took umbrage to this, believing that Silverman's ad insulted those who attend religious services rather than the perpetrators of said scam. "Tide goes in, tide goes out." What? That's Bill O'Reilly's defense of the existence of a god? "Tide goes in, tide goes out." Come on. Kirk Cameron and the banana spiel has more credibility than "Tide goes in, tide goes out." If your argument for anything falls short of Mike Seaver's, it's time to re-evaluate. 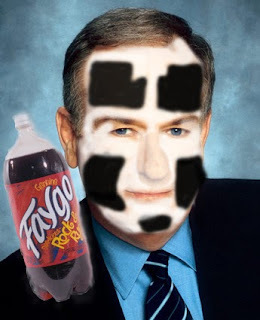 It's clear O'Reilly shares the same consternation with tides that Shaggy 2 Dope has for magnets (at 1:50). It's clear O'Reilly shares ICP's theory that it is impossible to "ignore the miracles of every day." Think about it. "Tide goes in, tide goes out." The tide is a daily occurrence. It's clearly the work of a god, not some lying scientist. Unfortunately for O'Reilly, and Juggalos everywhere, science explains confounding principles like magnets and tides. Tides are caused by three things: the gravitational pull of the moon, the gravitational pull of the sun, and the Earth's rotation. It's true that the tide goes in and the tide goes out. It's simply not true that, as O'Reilly asserts, it cannot be explained. This is taught in middle school science classes. What's even more enraging about this video, however, is Dave Silverman's response. His look at 1:58 is priceless. I thought to myself, "Oh yes, bring the pain Silverman. Bring the pain." And then he goes on to say, "It doesn't matter if I can explain it." What? WHAT? It was clear that Silverman did not know what caused the tides, either. So, at the end of the day, those who tuned in to the O'Reilly Factor got to see two idiots yell at each other while lacking a middle school understanding of the very world we live in. Some folks have pointed out that atheists came out better looking than O'Reilly in this exercise in mental midgetry. They're wrong. Because the atheist in this situation could not explain the "phenomenon" of tides that O'Reilly was using as irrefutable evidence of a divine being. Silverman looked just as stupid as O'Reilly. No one won in this scenario and the biggest loser was intelligence. Nice. I'd wanted to do a similar photoshop with the text "the tides are miracles."